EAGLE POST - The newsletter of Friends of Eagles Nest Wilderness, apprising you of important activities in and around Eagles Nest, Holy Cross, and Ptarmigan Peak Wilderness Areas. 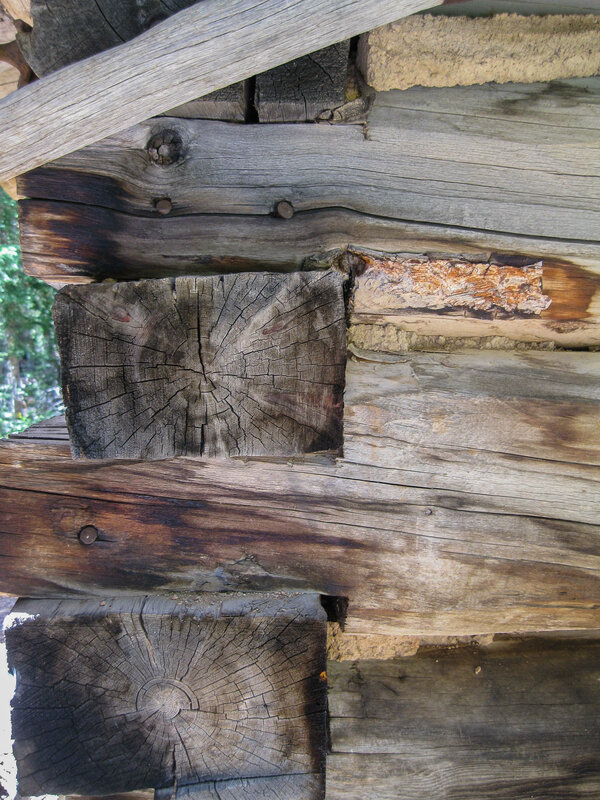 Introduction: In an earlier Newsletter, Andy Walker described the reconstruction of the cabin on Bighorn Creek, which has been in his family for more than a century. 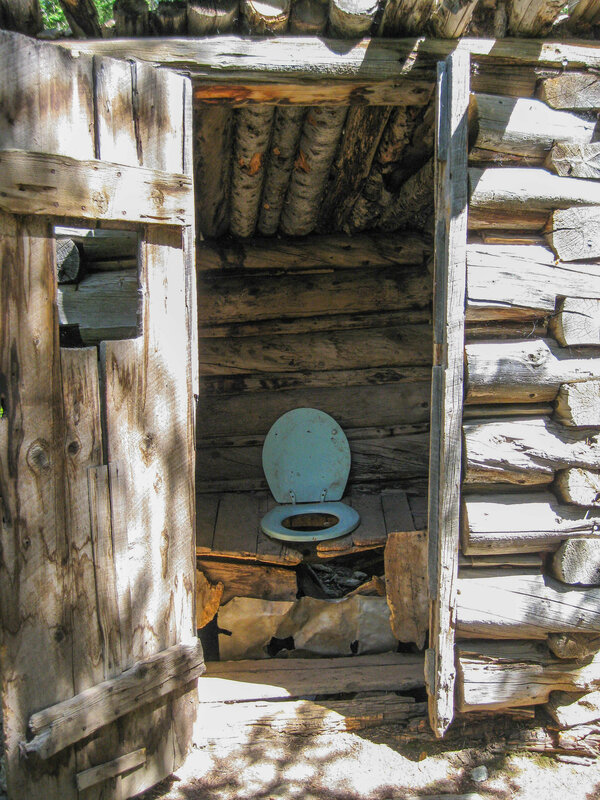 This month, Maria Eisemann writes tenderly about a more mysteriou s place that, like the cabin on Bighorn Creek, lies deep inside Eagles Nest Wilderness. She's calling it Aerie Cabin (not its real name). 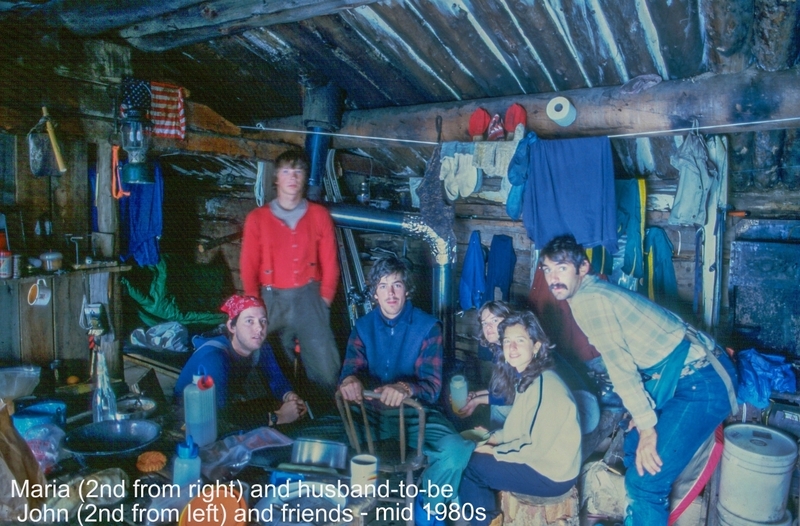 Aerie Cabin was rediscovered fifty years ago after lying abandoned for the previous fifty years. The family who rediscovered it, together with close friends like Maria and her family, have reawakened the spirit of the place. Maria’s research has unearthed photos from the mining days of the 19th century, and she has carefully transcribed the fascinating diaries left by visitors over the past half-century (you can read excerpts below). Hers is a labor of love and a work in progress, and we are happy that she has taken time to provide an update for us, which captures the magical romance of the place. There are places on this earth that touch your soul. Places to drink deep and nourish your mind with wonder. Cause you stop and look at the details and then step back and look at the grandeur. Places where you come to escape, to share with those you love, to hold secret and even for some, a place chosen to be laid to rest for eternity. Places that make you love this world and life. One such place exists in a soaring location of great beauty in Eagles Nest Wilderness, orphaned by those who built it and decades later adopted by those it captivated. 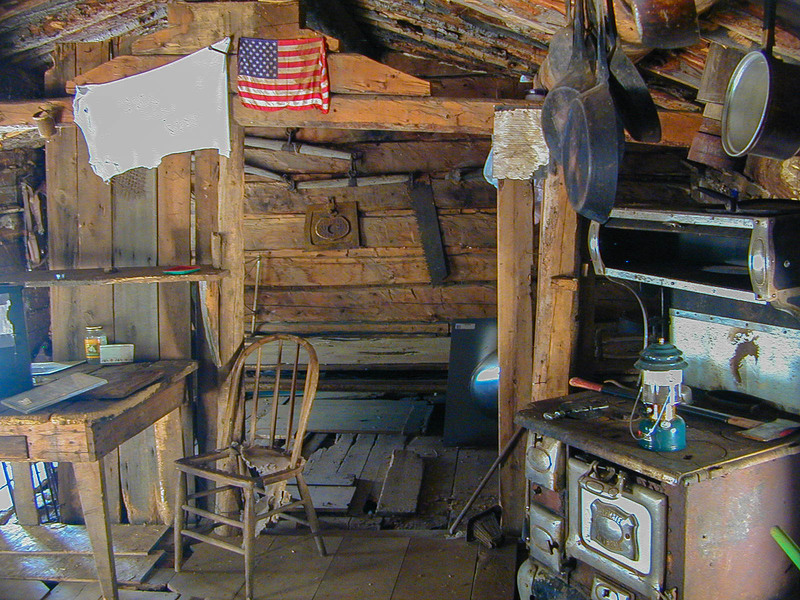 It is a cabin built soon after the Utes were driven from their land, during the time of the Colorado mining boom of the late 1800s. Its origins are obscure and have led me on a journey to solve its mysteries and record its history. Such a special place is held secret, but there are many things about it to share in hopes of preserving its memory and importance. The cabin was built about 1880 and abandoned early in the 20th century. It was rediscovered by chance, spotted by a family in the early 1960’s. They looked down from a ledge to which they had climbed during a hike, and saw windows and logs and ran down to explore. 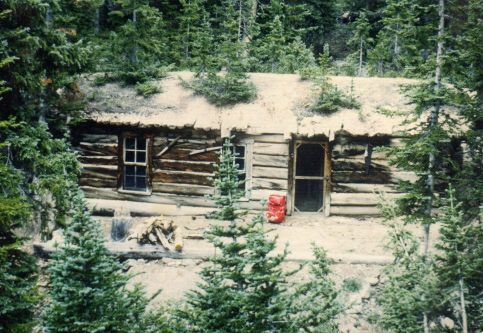 The cabin was well constructed and large for that high elevation and isolated location; trees were growing out of its sod roof. It had two glass-paned windows in the front and a proper door with a black door knob, fixtures remarkable for such a remote location. A note scratched into the door said, “Please leave my stuff alone, I’ll need it when I get back,” and was dated 1911 or 1918. Inside it was much like the owner may have left it: a jean jacket, shredded with time, hung on a nail; eyeglasses, kitchen ware, woodstove, beds and curtains all remained but were faded and dusty with age. Old newspapers lined some of the walls. Two inches of dirt, sifted down from the sod roof, lay on the floor. Outbuildings and mining implements and gear lay all around the property. 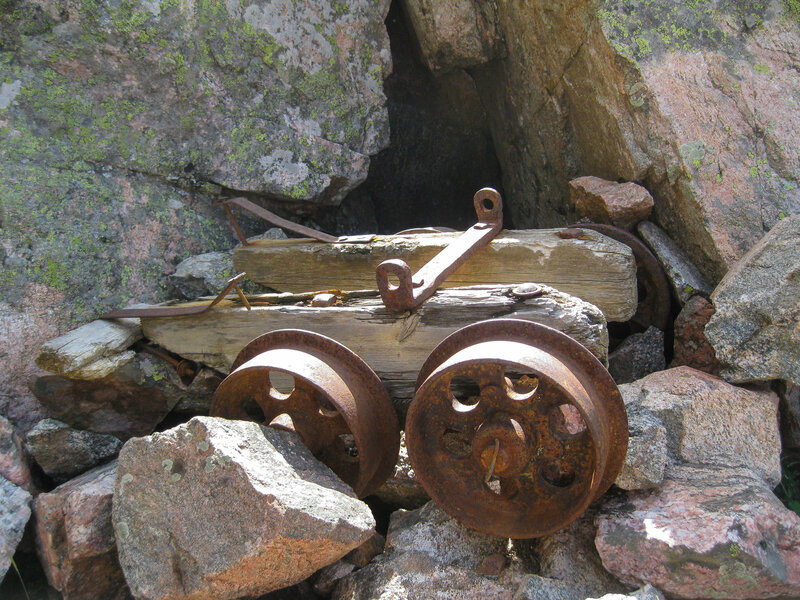 A search revealed the patented mine, which the family purchased. They knew, however, that it was too remote and wild ever to “own,” and decided to leave it open to visitors, although they have never advertised its location. They left a note with instructions on how to use, care for and leave the cabin better than visitors found it. 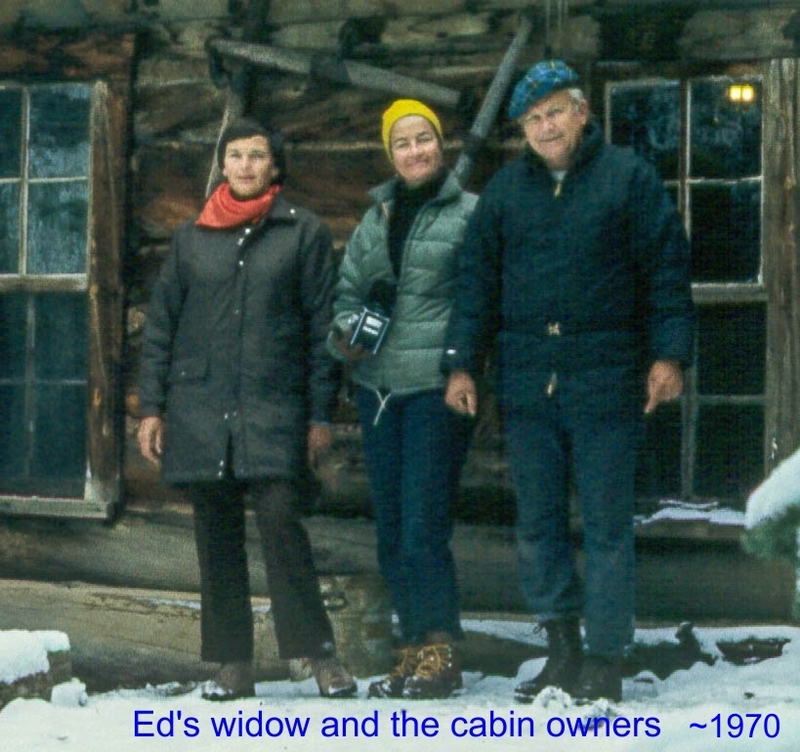 And they started a log book, which visitors have contributed to for more than 50 years.The very first entry in the log book emotes a remarkable occurrence that resulted from a tragic climbing accident on the Maroon Bells in 1970, leading to the death of two individuals important in Colorado history, one of whom is buried in a coffin near the cabin. This set the stage for the modern story of the cabin. If I wrote all that was in my heart it would sound like a love letter and maybe that’s what this is - you can’t know how deeply moved I was and am by your willingness to share your valley with us. In my total state of shock, I knew I could reach out to you and find warmth and strength and love and understanding - It helps me to know that Ed would approve of his small part of our valley. I’ll never know what sacrifices you made to be here and to help and you can never know how much it meant to me. Soon after discovering the [cabin] we started leaving a notebook log for the records of visits and travelers. The [cabin] visitors have revealed literary talents, maybe just ambitions, that have left an intriguing record since 1973. And in this body of writing there is adventure, love, fear, desperation, loneliness. The rediscovered [cabin] has written its own book. That’s what many of the following pages are about. And so began a story written by the people who have had a relationship with this place. They wrote with the log book balanced on their knees, on the front deck (of sorts) looking at the scenery, and by lamplight at the table by the stove, year after year, all seasons. There were young, adventurous men who first came on their own and then each brought his best girl to see if she would stand this test and be “the one.” That is how I came to this place the first time and fell more in love with the man I was to marry (because he passed MY test). Others have celebrated marriage, young love, humor, adventure and their survival against the elements inside and outside its log walls and have poured their souls into its pages. The log books, carefully collected, sorted and now transcribed, tell tales just as the owners foretold in their introduction. You can read excerpts HERE. At least 3 others who appear in the log books have passed away and had their remains brought to the cabin, including the family patriarch. As the cabin crumbles by the weather of time and may be gone forever unless it is somehow preserved, the log books may be all that remain to tell this tale. They do not, however, provide the an swer to the mystery of the cabin - who built it and what became of them. For that, I continue my research; intriguing clues have come to light but require a longer narrative to tell. The cabin may go back to dust but its story will hopefully also touch and move you to remember, preserve and love remote places of meaning and the importance of our history. ABOUT MARIA DiBIASE EISEMANN: Maria was born in Maine to a large Italian-American family. 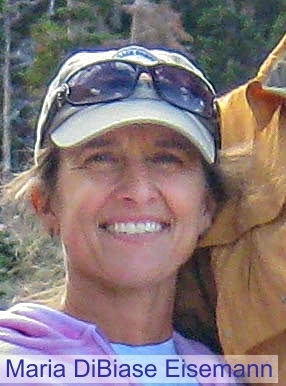 She came west at 18 to attend college at Colorado State University. It was there she met the love of her life, John Eisemann. John introduced her to this amazing cabin the first year they met. 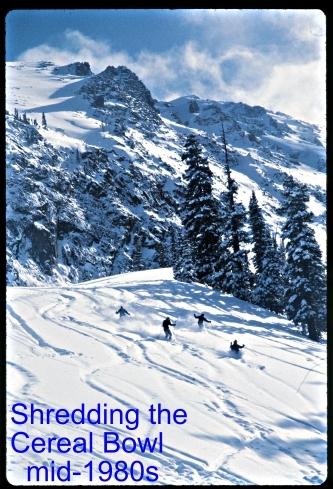 They loved to hike up and stay at the cabin and ski the backcountry every winter. They tied the knot, with a pre-nuptial celebration at the cabin, and spent their first 3 years of married life in the Peace Corps in the Philippines. They came back to the US where they had 3 children together: Alana, Leif and Josie. All three of their children have grown to love the cabin and learned the route there on their own. Maria’s professional life has centered on cleaning up our air and she is currently the transportation policy analyst at the Colorado Energy Office. My name is Maria and I’m coming straight from my college graduation at St. Lawrence University in New York to the White River National Forest. I grew up in Vermont and decided to stay east for school despite the allure and pull of the wild west, so I’m very excited to finally make my way across the Mississippi to some bigger mountains. My travels as a skier and geology major have brought me through Colorado quite a few times before but this time I’m looking forward to sticking around for longer than a week. I brought my skis with me, so in addition to the work I’ll be doing as a Wilderness Ranger and Trails Intern I’m hoping to find some leftover patches to get some summertime turns on, or at least doing some recon for the next season! In my spare time you can find me hiking, snacking, riding my bike named Rigatoni, or in the kitchen creating recipes for gourmet backpacking meals and working on refining my bread baking skills. 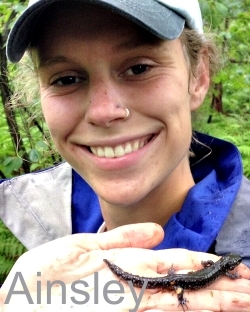 Ainsley is a recent graduate from the University of Massachusetts Amherst with her BS in Environmental Conservation and is continuing her schooling at UMass for a Masters in Public Policy. 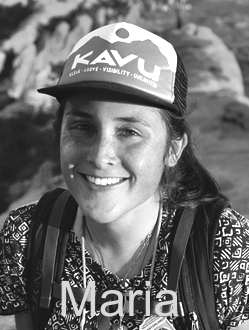 She’s passionate about sustainability and has transitioned her institution towards resource conservation practices during her time as the Secretary of Sustainability for the Student Government Association. Ainsley loves identifying plants and searching for amphibians in her free time. She plans to formulate more equitable policies for the earth and all its inhabitants in her future. Learn about trail work here. DENVER GROUP? Jim Alexander is interested in forming a group of Denver residents who love Wilderness in Summit & Eagle counties. If you are interested in a meet and greet get-together, email Jim at info@fenw.org. Our hard copy newsletter - the first in 3 years - went into the mail a few weeks ago. It contains two dozen fun and informative articles, all of them about FENW - past, present, and future. If you haven't received your copy, then we don't have your mailing address - please send it by replying to this email. Please register your City Market Value Card, linking it to FENW, which will send rebates to FENW without compromising your earned fuel points. Please note that each card holder may only sign up for one tax exempt organization. THANKS!